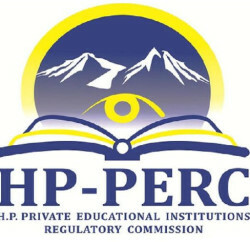 To curve the mushroom growth of illegal off-campus higher education centres being run in the state by universities located outside, the Himachal Private Educational Institutions Regulatory Commission mulling to stop them and its this regards Commission has urged the Union Ministry of Human Resource Development to take immediate steps to deal with it. The step was taken after receiving numerous complaints about such centres and during probe it found that most of the unauthorised centres were charging almost double the fees specified by the parent university and also fleecing students by charging an additional amount for superfluous add-on courses. As per the law, under the distance learning mode, universities can only have counselling centres. However, during probe it found that most the learning centres are offering regular courses and holding classes, illegally. The commission received details of over 250 such centres in response to a public notice issued by it. The centres are mainly associated with Sikkim Manipal University, Punjab Technical University and Karnataka State Open University. The commission has taken up the matter with the HRD Ministry, the UGC and the DEC. It this decision gets nod then it’ll affect over 20,000 students enrolled with about 500 such off-campus centres being run in the franchise mode.